Yesterday I attended a Bath in Fashion blogging event which was super fun. 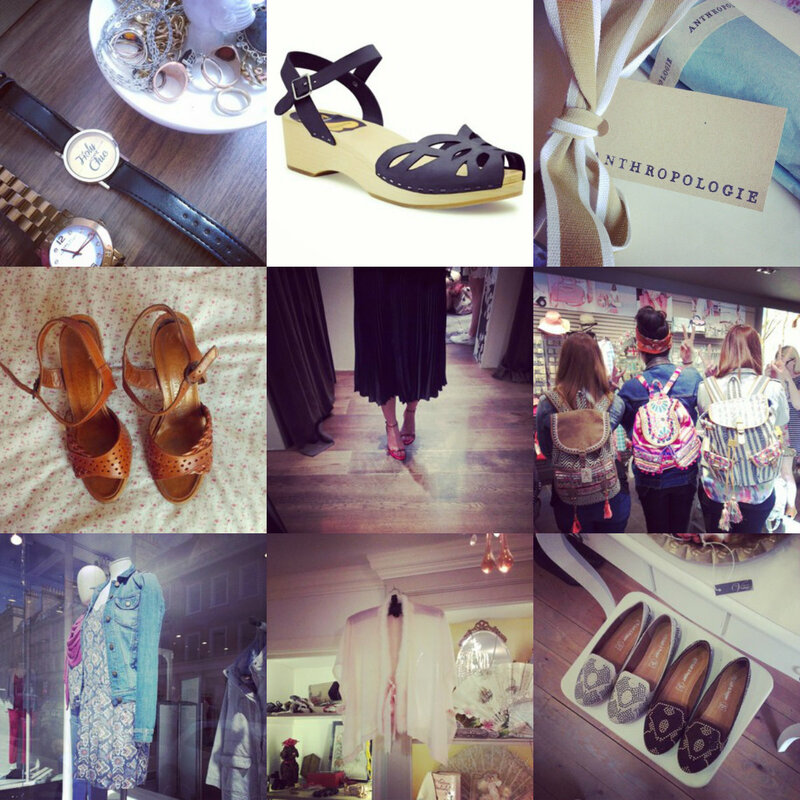 Apologies for spamming up Instagram with loads of random pics; as part of the event teams took part in a fashion scavenger hunt, which involved finding trends on a list we were given and then snapping those trends. Bonus points involved if the trend was being worn! As it happened, the team I was on - Team Fashion Vultures - won, which was really cool! I am going to write a post on the day and explain what went on in more detail but it really was a lovely event and the weather was perfect for lots of trotting around the shops of Bath! Also this week I went over to Weston and found an amazing pair of shoes in a charity shop where everything costs £1. Usually there's not much there but I always have a look in case I find a gem, and this time I did! They are vintage by Saxone and so cute! I also decided to get the black Swedish Hasbeen ornament sandals after deliberating over Instagram which colour to get. I love them; they are so comfortable and I think the black is a little more interesting than the tan ones; if probably more seasonally inappropriate now!